Bloggers come in all shapes and sizes. Some are in the forefront of their respective industries. They publish content regularly on multiple publications at the same time. Others move forward with their blogging career silently and efficiently. There’s nothing wrong with either approach – whichever makes the blogger comfortable and profitable is the best way to go. Marcie Hill leans on the latter and she’s definitely worked hard to get where she is in her career at the moment. She’s also a speaker and author, so she definitely has a diverse professional career that you can’t pigeonhole her as just as a blogger. 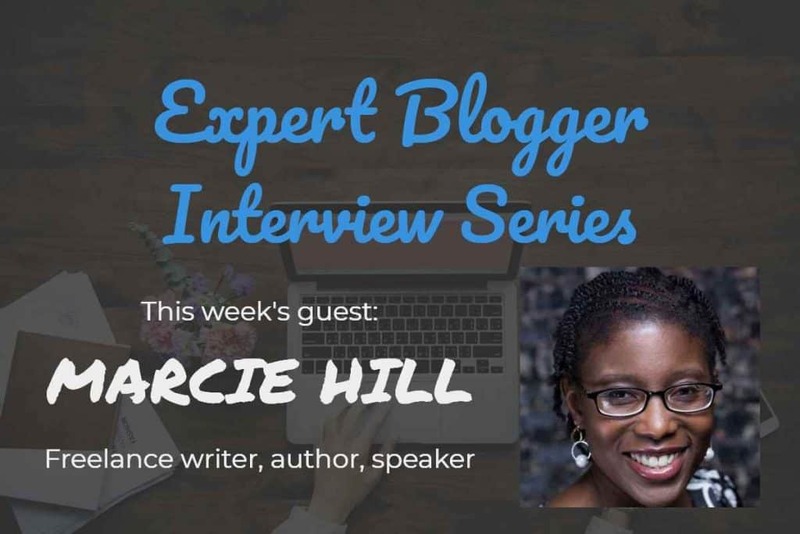 In this Expert Blogger Interview (the first one for this year – no less), I was able to pick Marcie’s brain by asking questions about her blogging journey. 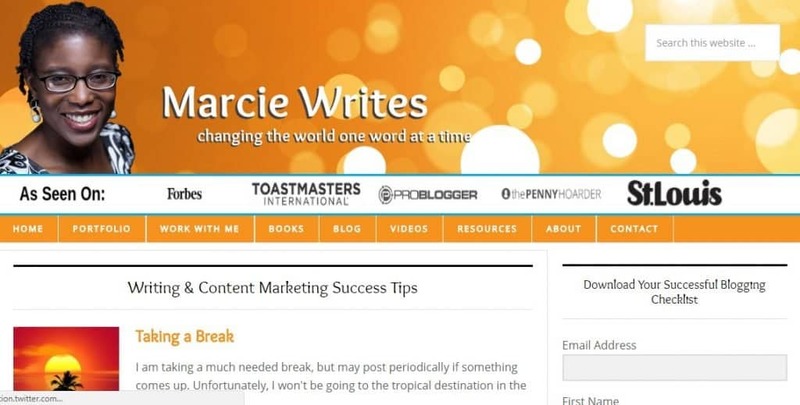 Hopefully, you as newbie bloggers can get some ideas on how you can supercharge your blogging career for the better just like what Marcie did. 5. Since you haven’t encountered horror clients yet, are there any tips you can give people so they can avoid these types of clients? 6. Which blog post you have written that you feel the proudest? 11. What do you think are the upcoming blogging trends people need to watch out for? 12. If there’s any one advice that you would say to a starting blogger, what would it be? I started blogging in 2008. I did not consider myself a professional blogger until I began to understand that blogging was a business, almost five years later. Prior to blogging, I worked in human resources for 12 years. I had just embarked upon my freelance writing career a few months before I started blogging. My biggest obstacle was the lack of available information. When I started blogging 10 years ago, there was very little information online and only a few books on blogging. Thankfully, I don’t have any client horror stories. I tend to scare people away with my rates. To avoid these types of clients, I quote rates that reflect the value of the services I provide. Many small business owners that inquire about my services don’t understand the value of writing, therefore they don’t invest in my services. My rates for a 500-word blog post start at $150; newsletters start at $500; consultations are $150 per hour. People who understand the value of the services I offer have no problem paying and they give me little grief. My proudest blog posts were written for my Powerful South Siders series on my community site, Shorty: Your Chicago South Side Resource. I was proud of my Powerful South Sider series because I used my platform to spotlight people doing great things in business and the community. Many people don’t get the recognition or accolades they deserve, and I was able to do it. I think Gail Gardner from GrowMap is amazing because she helps other people grow their businesses and mentors many writers through her groups. Also, Mitch Mitchell from I’m Just Sharing is an avid blogger who doesn’t get the publicity and credit he deserves for the level of knowledge he provides. Here are two things that separate me from other good bloggers. First, is my level of commitment to my blog, Marcie Writes. I publish posts that serve others at least once a week. And I promote great information on my site, regardless of who writes it, versus people who only promote popular bloggers. HootSuite allows you to schedule social media updates for free. You can enter information now, and respond later. You can send emails to your readers with MailChimp for free. Screencast-O-Matic allows you to create and edit screencasts. This tool is cool for doing instructional videos. Awesome screenshot to capture full pages of websites. You can use these shots to capture images for your blog. People have different definitions of success, so here’s how I define it based on my blogging experience. The fact that my blog has been around for years and is updated at least 45 out of 52 weeks of the year makes it a success. People get a lot of information on blogging and writing from my site. I get requests for writing services, speaking engagements, and other opportunities because of my blogs. I think video is the biggest trend. This is a challenge for people like me who prefer writing. Also, there will be more free tools to create images for your blogs and social networks. Finally, despite what people say, blogging is not dead and is not dying anytime soon. The main piece of advice I would give new bloggers is to plan your blog before you start. 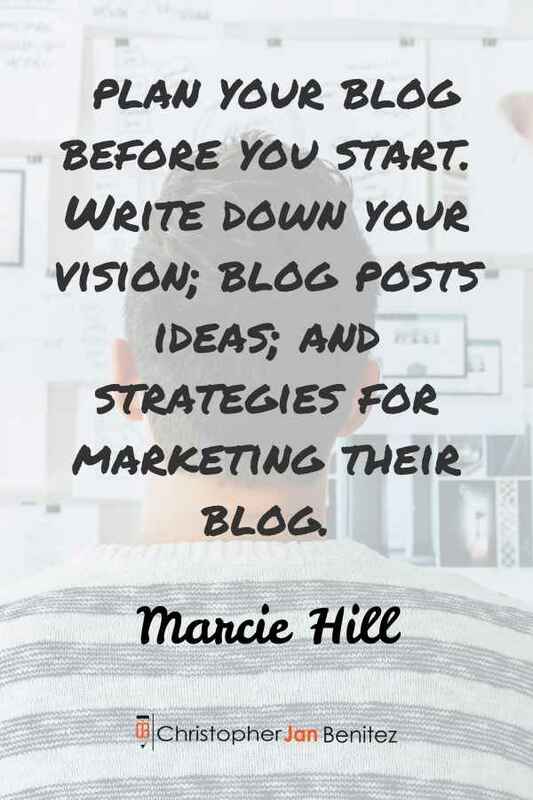 Write down your vision; blog posts ideas; and strategies for marketing their blog. My course, Blogging Success for New Bloggers, and my book, 62 Blog Posts to Overcome Blogger’s Block, will help with this.